An unknown killer is waging a war on drugs. The murders are horrendous but with a silver lining--now stop signs are the only objects lingering on corners in the city's toughest neighborhoods. Half the city calls for the police to end the killer's reign. The other half cheers the killer on, denouncing the tactics but celebrating the progress police haven't been able to achieve. The gritty details of Cleveland's drug underworld are nothing new to Homicide Detective Jesus De La Cruz. Two years earlier, Cruz worked undercover narcotics and was poised for a promotion that would have placed him in a coveted position within the drug organization. The deal went bad. Now he has a new face, a new job, and a new case. The killer moves through the streets with impunity, identity still unknown. Demands for progress from his superiors, accumulated grief of the victim's relatives, growing pressure from the public, and elevated stress from his family quietly pull Cruz apart. 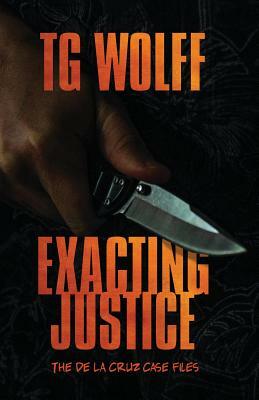 With no out, the detective moves all in, putting his own head on the line to bait a killer.